WASHINGTON – The United States Mint (Mint) will begin accepting orders for the 2019 America the Beautiful Five Ounce Silver Uncirculated Coin honoring Massachusetts’s Lowell National Historical Park (product code 19AJ) on February 7 at noon EST. The coin is priced at $154.95. 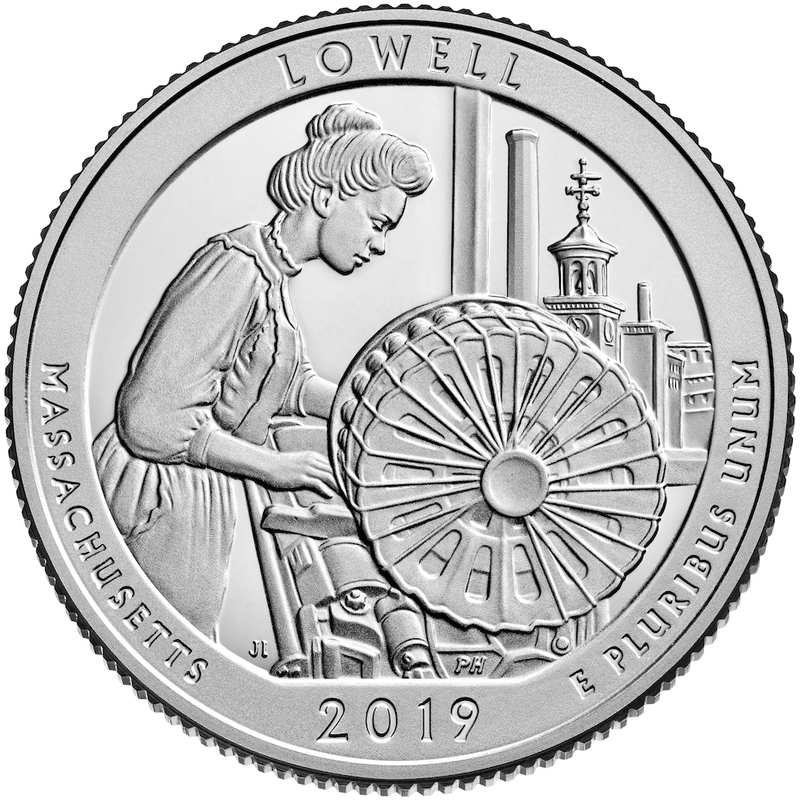 The reverse (tails) of the Lowell National Historical Park five ounce coin depicts a mill girl working at a power loom with its prominent circular bobbin battery. A view of Lowell, including the Boott Mill clock tower, is seen through the window. Inscriptions are “LOWELL,” “MASSACHUSETTS,” “2019,” and “E PLURIBUS UNUM.” The obverse (heads) features a 1932 restored portrait of George Washington. The mintage limit for the America the Beautiful Five Ounce Silver Uncirculated Coin honoring Lowell National Historical Park is set at 20,000 units. The Mint accepts orders at www.catalog.usmint.gov and at 1-800-USA-MINT (872-6468). Hearing- and speech-impaired customers with TTY equipment may order at 1-888-321-MINT. Information on shipping options is available at www.catalog.usmint.gov/customerservice/shipping.html.